Can I use the one copy of Windows 7 for both my Laptop and Desktop? Question: I just purchased Windows 7. I have 2 PCs. Can I use the one copy of Windows 7 for both my Laptop and Desktop? Answer: No, you can not use the same Windows 7 product key on more computers than Microsoft License Terms allow. 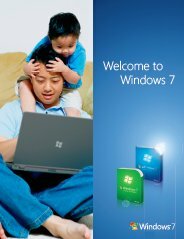 Usually, you'll need to buy an additional copy of the Windows 7 to install Windows 7 on your Laptop or Desktop computer. Join in and write your own page! It's easy to do. How? Simply click here to return to Windows 7 Questions.